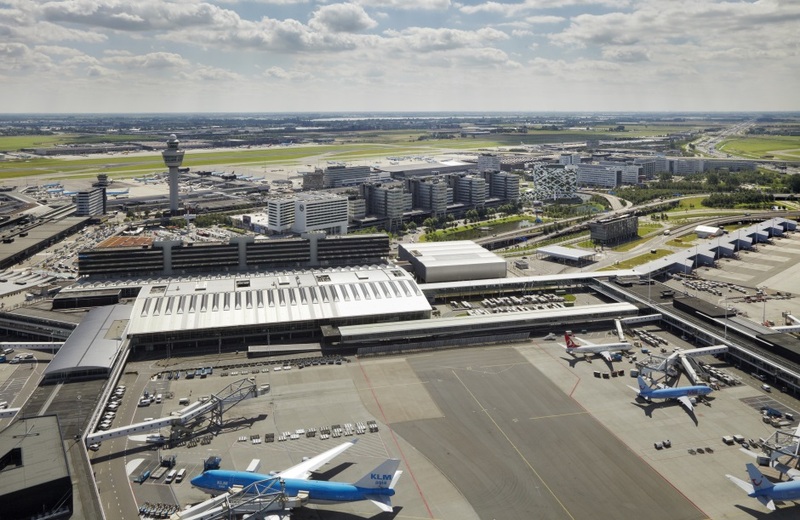 This April we saw over 6 million passengers travelling to, from or via Amsterdam Airport Schiphol. The number of air transport movements did not increase compared to April 2017. 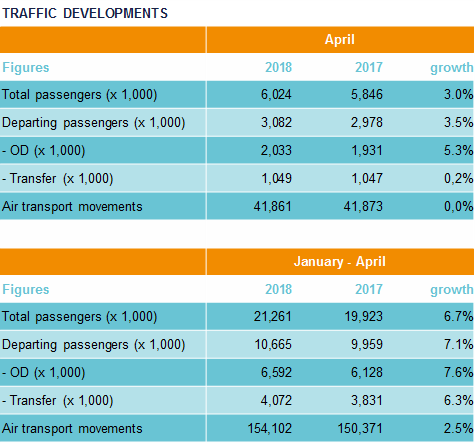 From January to April 2018 we saw an 6.7% growth in total passengers compared to the same period in 2017, with a growth in air transport movements of 2.5% and a growth in OD and Transfer traffic of 7.6% and 6.3% respectively.